I didn’t know how to insert this into the poster contest, but this is something I worked up that I’ll be using to advertise the screening of the A&E new documentary Explosive Evidence. You can screen the premiere of “9/11: Explosive Evidence – Experts Speak Out” in your community (the week before September 11). 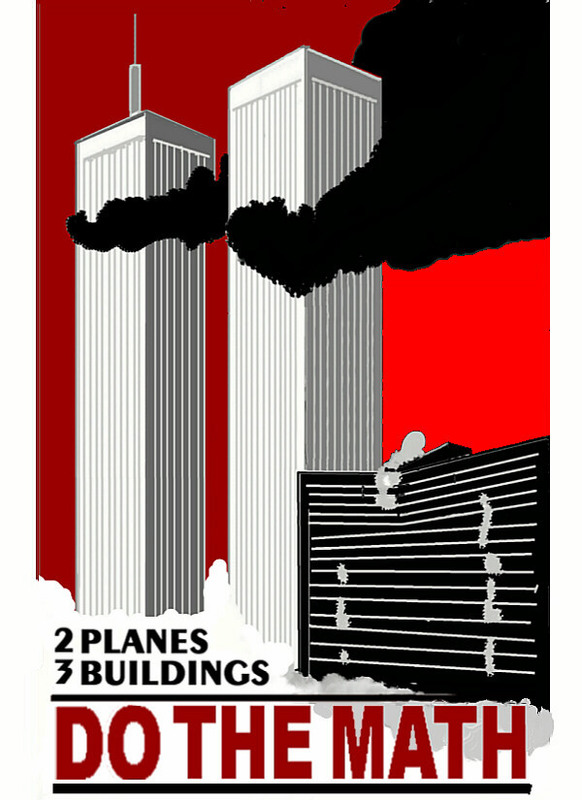 This entry was posted in 911, Art, Books, Music & Film, Comics by laughnmatter and tagged 911 poster, a&E911Truth, explosive evidence. Bookmark the permalink. Building 7 is a defining event: to establish if people are capable of even considering evidence that contradicts an “official story.” Do their heads explode if their critical function engages? There’s a reason the owners wanted to do away with teaching critical thinking. Now if they can only finish What they started when they attacked science in Tennessee back in 1925 and completely destroy the math skills of most students and their agenda will be complete. Imagine if CTists were forced to explain the stuff they make up. I’m sure glad there are real experts telling us the truth and not guys like Hybrid that makes stuff up and pretends to “know”. Powerful meme. Tweet the hell out of it until it catches on fire. I like the concept very much – cuz it just don’t add up!!!!! what about wtc 3/4&5? evaporated ! Yes. “evaporated”. Not a single piece of concrete was ever recovered from the site. It sure made clean up easier. Heck, according to Hybrid, there was just pulverized dust of the WTCs 1 & 2. We just used a big shovel and swept it all up. When it came to rest, it looked like a sand dune. No really. Hybrids told us that it was all pulverized by explosives. Captain is right…but nobody seems to talking about those….anyway the runaway snowball is getting bigger! One picture = 1 fascist dictatorship in action. Have you ever seen a “fascist dictatorship”? I seriously doubt it. Why not talk about WTCs 3, 4, and 5? They collapsed. What are the CTists hiding?